For those who do not know it yet, here is a little factoid about Erzullie. We actually have 4 major collections (aiming for 5 if we can still manage to come out with an official Plus Size Couture Collection this year) --- Corporate, Resort, Pre-Holiday and Holiday. The first half of the collections/year, I am the one responsible for the designs (Corporate and Resort). For the Pre-Holiday and Holiday ones, well that is where Berna Cuevas comes in. To those who have been with us through the years, I think you can actually witness the difference in our design aesthetics. I am more of the constructivist and luxurious loungewear kind of gal, while Berna is all about the social sophisticate cosmopolitan beauty. I know that these are almost two different design perspectives but we all do it in the broad description of Fierce Plus Size Fashion. All styles are aimed to empower the plus size woman. Anyway, to get to the point of it all, and I am not dragging it... or stalling... or what not (tee-hee got you! 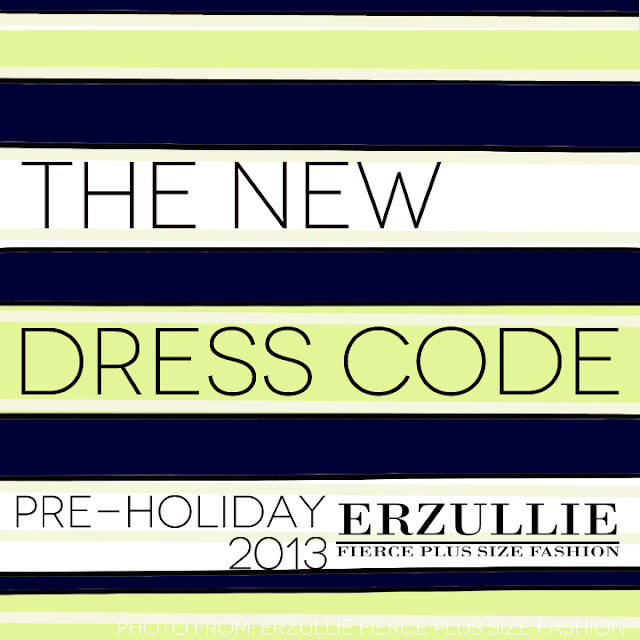 ), this post is about the Pre-Holiday 2013 collection! 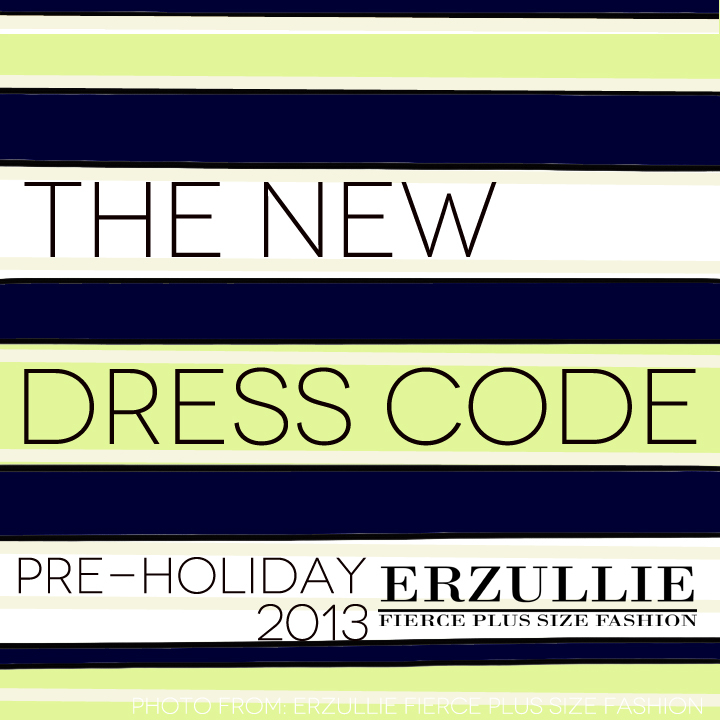 At least a little hint of what the Erzulliestas can expect from the fashion line, specifically this coming Fierce+Flaunt Plus Size Shopping event this June 15, 2013! Obviously Berna got inspired with a specific print which is being hinted by the one above. Usually Berna gets her inspiration from a song (last time it was ALLLLLLL ADELE. My goodness! Played all month long until the production season lol) but I guess this time, she is trying something different to get her creative juices flowing. We are naming the collection "The New Dress Code" because of it. What do you think ladies? You ready for The New Dress Code for Plus Size Fashion? Ahem, ahem --- Erzullie? Haha!